So, I haven’t been to The Devil ride since I competed on Flame. I am looking forward to taking Steel and tuning her up a bit in anticipation of riding a 100 mile ride in November. I am feeling strong and Steel is certainly in very good shape this year. We missed out competing at Mustang earlier this month. The weather was horrid. Rain and wind and cold. After contemplating the horses standing in pens and getting chilled overnight, and being covered in wet sand and shivering all day, my riding buddy and I opted to not go. Turned out that the weather guys were quite wrong about the forecast and although it was damp and chilly, it only sprinkled some showers, not the torrential downpours they were forecasting. I diligently made up for those lost miles by taking Steel out for short jaunts twice a week. By now, everyone knows that I did find a new home for Miss Daizy. Her new owner weighs a whopping 120 pounds. I am broken hearted over selling her, but it was the absolute right thing to do for her and me. Now, to find a replacement before the 2017 season starts. I guess I will be starting all over but the journey will be great fun! Knowing that I would be competing Steel for about a year until I get a new horse ready (because I will not be able to find a new horse ready to compete with the small budget I have for a purchase) I bought a new saddle, custom fitted, just for Steel. Now, Steel has carried many riders to 50 mile completions in many different saddles. I figured it was time she have her own saddle that fits her. It arrived a week before The Jersey Devil, so it is my goal to ride in it the first day and if that goes well, then we ride in it on the second day. 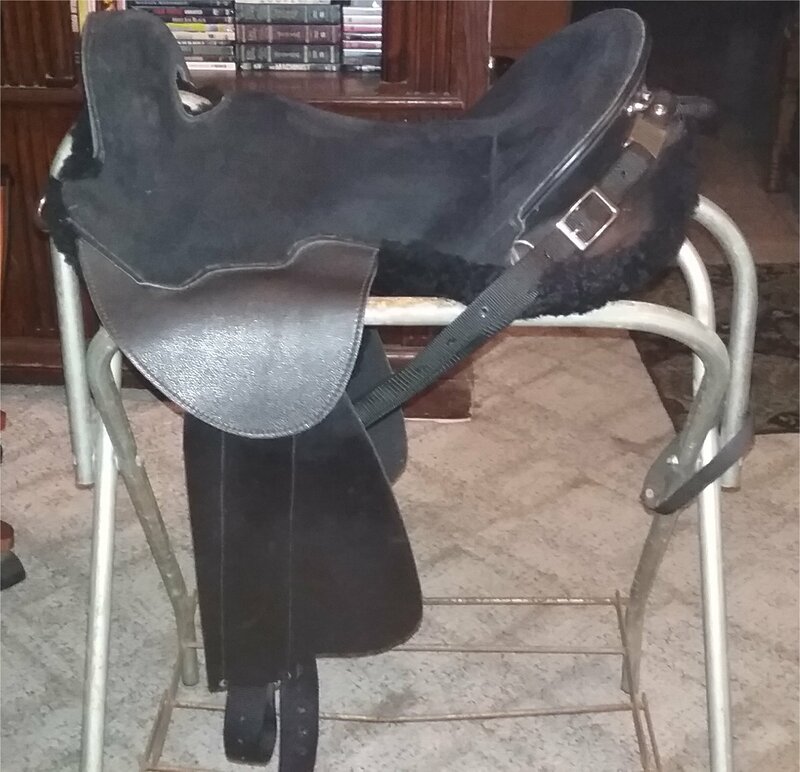 This is a Stonewall endurance saddle. Weighs about 12 pounds. Fitted to Steel for her narrow body frame and mutton withers. First horse I tried on a 30 day trial. She came to me a little on the thin side, and she very quickly earned the nickname Fruit Loop. I’m not overly thrilled with her skill set and her disposition. At age 13, she should know much more than she does and be a lot less stupid about stuff. She is (by far) the most comfortable horse to ride, her trot and canter are to die for and she has a big walk which covers ground. And she is very personable, she seems to like me. I’m just not prepared to pay money for a 13 year old that needs a good two years of work to become a strong endurance horse. I will be returning her at the end of the 30 days. Shame, because she has potential but for the same money I could find one that doesn’t need two years of work. Now, I got a freebie … I have to preface this with the fact that I have known this mare a couple years and I have always admired her. Something about her has always struck me. Her name is Penny, she is a seven year old American Saddlebred. 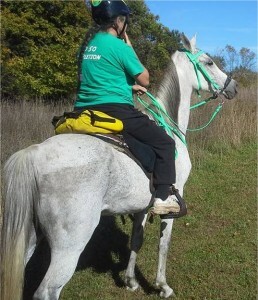 She is a very strong mare and doesn’t look, nor move, like the typical ASB horses. I was thrilled when her owners offered her to me. Now, the problem I am having with her is that (apparently) Arabians are racists … because my Arabian ladies are not accepting her, chasing her all over the place, kicking at her and they just won’t let her be part of the herd. As of today, it’s been nine days since she’s here and the only one that will hang with her is Grasshopper (and she’s only 6 months old so she hasn’t learned to be a racist yet). Finally, in anticipation of going to ride my first 100 mile ride, I gave myself a new birthday present. A GN trailer with a converted weekender in the dressing room. I spent two days getting it all packed and setup with my camping stuff. I am SOOOOO excited to have it. 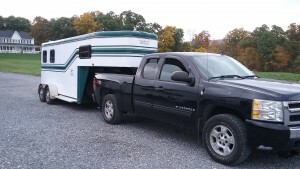 no more tenting it, or sleeping in the back of the trailer or sleeping in the truck. A real bed and a real room to keep me cozy. 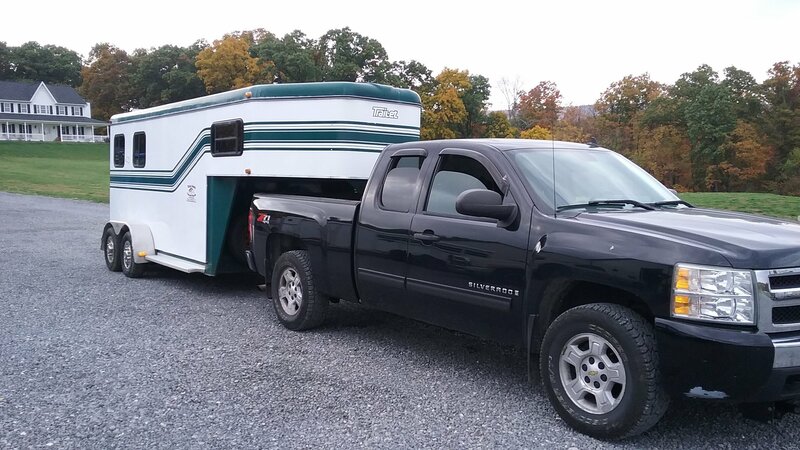 I am thrilled with the new-to-me trailer. So, now on to the ride story. Let’s begin the story one week ago. Jeff and I took Steel and Fruit Loop out for a quick 8.5 mile tuneup ride. It’s was a good ride and I was hopeful for Fruit Loop as she started the ride as the leader, and was working strong. For about 3 miles when she decided she didn’t want to be the leader anymore, and she didn’t want to work anymore, either. She stopped, she backed up, she spun around, she refused to go forward even when Steel too the lead. I was so frustrated. By mile 6, Fruit Loop decided I was not going to give up so she started working like a horse again (instead of like a stubborn mule). I was pretty much done with her at this point. Too much work needed for a 13 year old horse. At the end of the ride, as we were taking off our tack, I noticed that Steel had some blood running down her inner thigh. Thinking maybe she caught a stick or something, I crawled up under her and discovered a HUGE abscess on her upper inner thigh. It was weeping gooey pus and blood. When we got back to the barn, I lanced the abscess and it was really gross. I could see an immediate relief to Steel, though. It was a very painful abscess. I spent the week cleaning it and keeping it open to drain. It healed up pretty nicely but by Thursday, Steel was a bit off on that leg. I’m sure that it was sensitive. My hope was that it would be healed enough by Saturday to take her to the ride. Weather … Yep – shades of the Mustang ride. Weather forecast is cold, rain and wind. They have high wind warnings in Pemerton, NJ for Saturday. Gusts up to 40 mph. Now, I’m not at all excited by wind, but combing that with cold rain and temps only in the 50’s and you have a recipe for blue fingers and toes and lips. Oh no, not again. 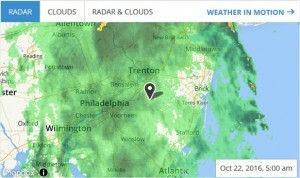 Why, why has it rained on every single ride in the NE this season? My rain gear has never had so much wear. I got up at 3:00 am Saturday morning and it’s raining. 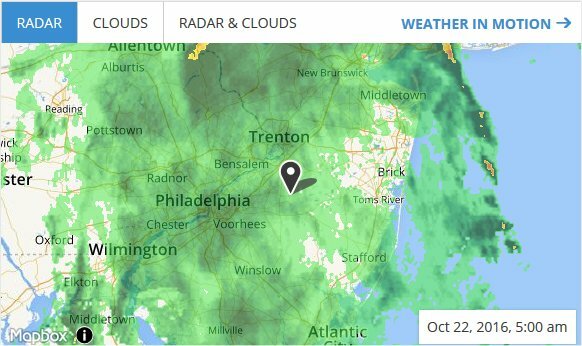 I pull up the Pemberton, NJ weather forecast and see that the weather guys actually got their forecast correct for this weekend. Sitting under a huge storm system, I am feeling very sorry for all my friends who went out there yesterday and camped. It is miserable being wet in the morning and in the sand. Because sand sticks to everything and you can never get rid of it. I am determined. I need this 2-day ride to see where Steel is with her new saddle and carrying me two days. If all goes well, we will be sending in our entry for the 100. Since everything is already packed into the trailer and ready to go, I throw a couple things in the cooler and make my way up to the barn. It’s raining, and it’s cold. I grab Steel from the pasture and put her on a lunge line. In the glow of the headlights I ask her to trot out. Okay … fine. I’m already wet so let’s get Fruit Loop and give her one more chance to change my mind about her. In the same glow of headlights, I trot her out and she is 100% fine in both directions. Here we go, she can do the CDR both days. Except for the fact that I spent 45 minutes trying to get her loaded on the trailer and it was not happening. In this order … She broke a halter, so I caught her running around the yard and put another one on her. Then she knocked me down and ran me over trying to avoid walking up to the trailer again. I got up and stood at the trailer waiting for her to get a brain on. She started backing up and backed almost all the way to the pasture before I got her moving forward again. As soon as we approached the trailer again, she started spinning, fell when her feet lost traction on the wet grass, got up and reared. I’m done with this horse. Just on principle, and because I’m already wet, I continued to try and get her on the trailer. This has been an issue with her from day 1 when she got her. She stands and shakes like I’m about to kill her whenever we would try to get her loaded. I finally gave up and put her back into the pasture. No ride for me this weekend. I can’t take Penny, for a couple reasons. She does not have a current coggins and she hasn’t been ridden in over a year so the two little rides I did with her since she got here are not enough to prepare her for a CDR. So this season, I only competed in seven rides. I skipped two due to the excessive heat. Skipped one due to the horrific weather forecast and now I am missing this one because I don’t have a horse to ride. I am totally bummed out. Guess I’ll do some housework today. The hallway needs to be painted. I painted the sitting room when I skipped Mustang earlier this month, so I think it is appropriate that I paint the hallway this weekend. I unloaded the hay and went out into the pasture to find that they had probably had an altercation with each other. Both of them have boo boos on their hind quarters. Steel has a long scrape down the front of her right shin bone and Penny has a gash on the back if her right pastern. So now both my riding horses are down and out. Well, guess I’ll do yard work on Sunday.